Remove all traces of makeup. Yes – I always always do this, no matter the timezone or the situation. 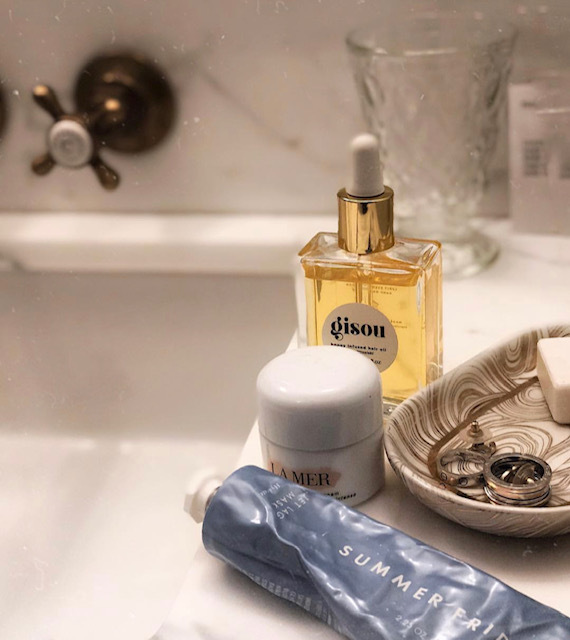 I like Burt’s Bees for sensitive skin and Simple wipes and while I try to not use them if I’m not travelling, they are more practical than using tons of cotton. Just make sure you really take those mascara bits off! Apply some tonic – I’m using yet again a LaMer product, with cotton pads. Sometimes a mask (I like Summerfridays R+R atm) or the paper foil masks from Estee Lauder. I would say once a week or when my skin feels tight e.g. after a long-haul flight. I alternate Summerfridays Jet-lag cream to Lamer (soft or gel) Whitening TXC from Chanel and a simple serum like LeLift or The Concentrate. Once or twice a week I also use a brightening serum, atm I’m loving the LeBlanc range. 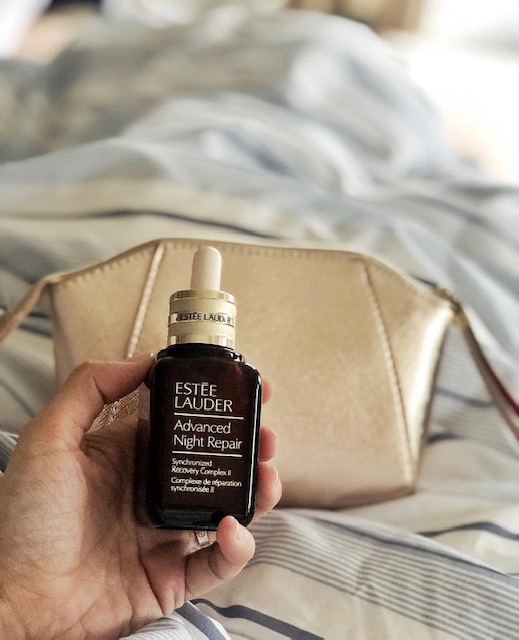 I’ve recently started using Estée Lauder ANR and I have to say I really like it. 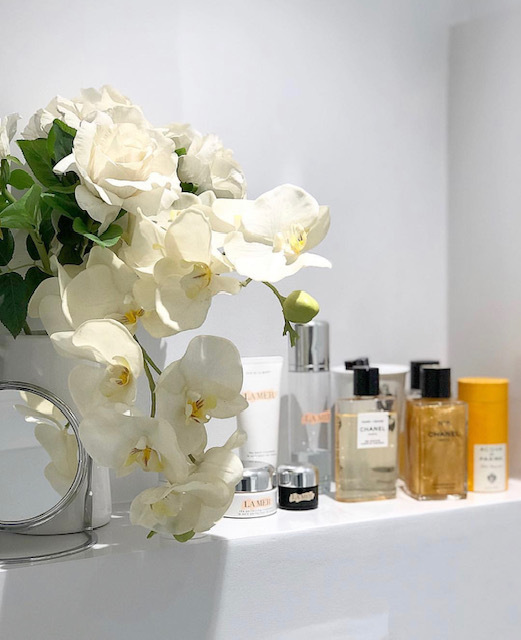 Eye cream or serum – liking the Dior Capture youth eye cream. Super cute bottle too. Don’t forget the NECK! An anti-aging cream is normally perfect for this area. Any good skincare routine should include oil. I love an oil-based cleanser, like Shu Uemura or a scrub like LaMer. 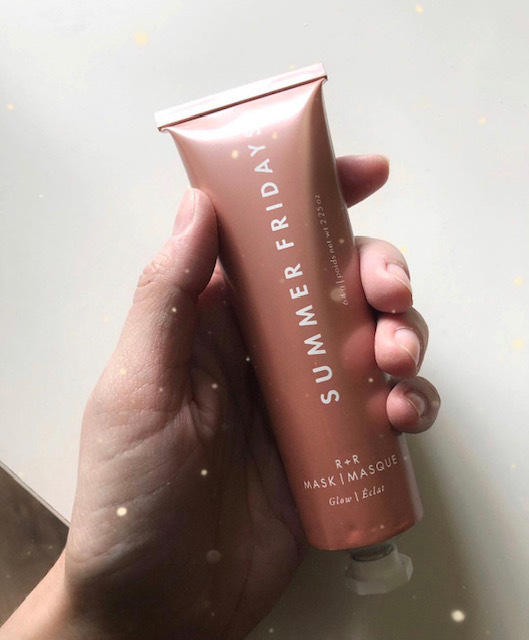 Apply a light day cream to nourish without getting shiny (otherwise my T zone need powdering over the day if I go too OTT on the hydration in the am) – a veil of Summerfridays Jetlag Mask goes a long way. A bit more of eye cream but literally just enough to hydrate the eye contour before makeup. 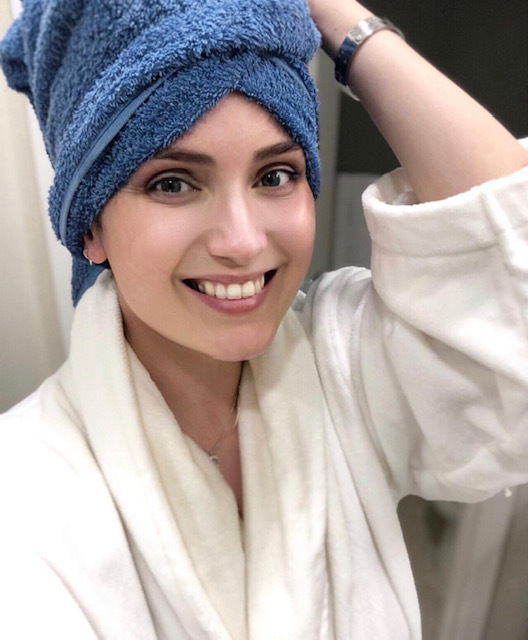 I am not normally having facials – every time I have one, my skin breaks out and I don’t like the procedure as it does not relax me so much. Call me weird! As for vitamins: I am a big fan of Olly but I have only tried the melatonin one and they also only ships in the US for now (workaround? get them on Amazon!) Will report more once I’ve tried the supplements!